Book Review Long Branch By Michael Ashkin Reviewed by Allie Haeusslein Since the late 1800s, the United States federal government has possessed the power of eminent domain — the ability to seize private property for approved public uses. This governmental authority first materialized to facilitate transportation, supply water, construct public buildings and aid in defense readiness — all necessary for a developing nation’s infrastructure. 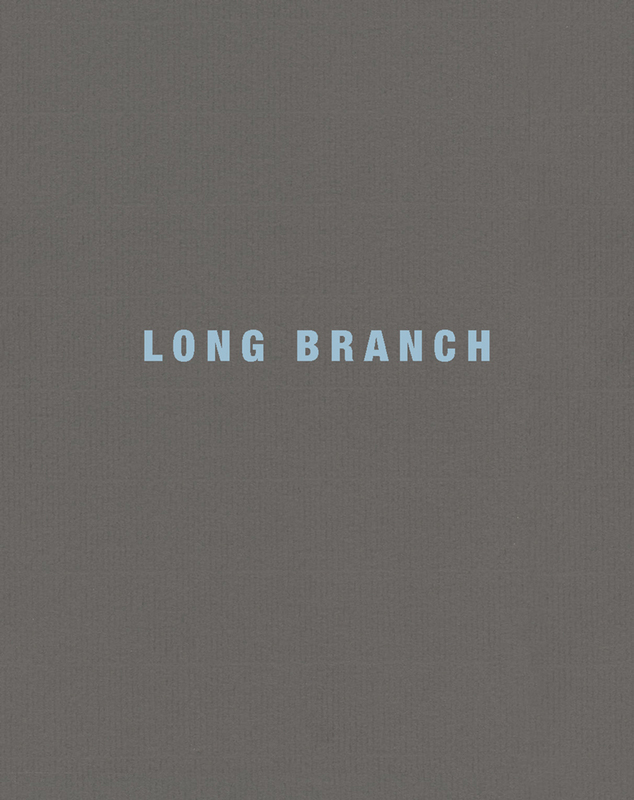 Long Branch By Michael Ashkin. A-Jump Books, 2014. 144 pp., 89 duotone illustrations, 8½x6¾". Long Branch By Michael Ashkin. A-Jump Books, 2014. Michael Ashkin examines one such case of eminent domain abuse in his recent publication, Long Branch. During the late-nineteenth and early twentieth centuries, Long Branch, New Jersey was considered the nation’s premier seaside resort, attracting US presidents and film stars alike; the city fell out of popular favor following World War II. After a devastating fire destroyed the Long Branch Pier in 1987, local officials declared that the surrounding neighborhood had become blighted, which allowed them to seize dozens of waterfront homes and businesses. Taken between 2002 and 2007, Ashkin’s images document the destruction of this working-class, beachfront neighborhood, replaced by luxury housing, dining and shopping, called Pier Village. Ashkin’s photographs oscillate between seemingly abandoned old houses overrun by foliage and the construction of cookie-cutter high-rises and McMansions. In a project confronting deeply personal subjects such as losing one’s home, community and livelihood, I expected pictures of the affected population alongside images of the landscape, à la Janet Delaney’s South of Market. Instead, human presence is hauntingly absent in Ashkin’s pictures. Though these are clearly scenes of an urban environment, an apocalyptic overtone pervades; empty cars and miscellaneous construction equipment stand as the primary markers of life in this deserted territory. His grainy black and white photographs resemble images we might expect to find in newspapers, an aesthetic we are trained to view as truth. Together, these subtle images denounce and lament the conspicuous appropriation of private land for corporate benefit. Vestiges of the town’s previous life — restaurant signage, murals, a kiddie swimming pool — are neglected and marginalized in the shadow of new development and unending construction oblivious to its surroundings. A particularly telling image depicts an imposing iron fence in front of an enormous, new home — a potent nod to keeping locals out and the demonization of this community in its own backyard. In the center of the book, Ashkin includes ten pages of text, a compilation of fragments taken from newspaper articles, letters to the editor, activist websites, real estate brochures and Ashkin’s notes from the same period the pictures were made. The passages uneasily alternate between the heart-wrenching words of displaced residents and business people, politicians advocating for redevelopment and simple lists of words; the author of these statements is never identified. The resulting narrative is fractured and incomplete, a cacophony of varied perspectives that mirrors the turbulent, torn terrain.